"If I didn’t get out of there, I would have died," Tiffany Marler said. The walls at Tiffany Maler's home are full of happy memories, but lately, she's been consumed by memories she'd prefer to forget. "If I didn’t get out of there, I would have died," Marler said. Eight years ago, her then-husband tricked her into going to a house off of Pennsylvania Avenue in South City. She wasn't allowed to leave. "I fought every day, I screamed at the top of my lungs I just want to go home," she said. Inside, she was forced to perform sexual acts, lived in filth and saw unspeakable horrors. "I saw so many girls, young girls, trafficked in and out of that house," Marler said. After three months of hell, her father tracked her down and sent a lifeline through a phone call. "And he told me there was an ambulance waiting outside, don’t ask questions, and I didn’t," she said. Tiffany made it out alive, but she never forgot the ones who didn't. "And I feel like I’m keeping my promise because I swore I’d come back and do something about this," Marler said. That's why, over the last two years, she's worked with Rep. Mary Elizabeth Coleman (R-St. Louis/Jefferson County) to draft legislation that would stop prosecuting young girls under the age of 16, on prostitution charges. 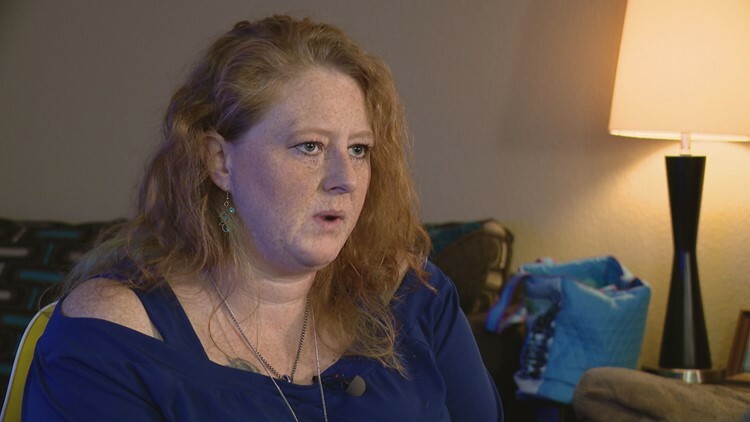 "They have these prostitution charges on their records and unfortunately that leads to drug abuse, that leads to depression, that leads to PTSD, that leads them into going into prostitution as an adult. That leads them into not knowing what to do as an adult," she said. The bill would also expunge charges for women already prosecuted. "The laws have to change," Marler said. So Tiffany has spent every spare moment calling lawmakers and making her case, all in hopes that if her bill gets passed, she'll have a new memory to hang on the wall. "When I met them, it made this drive just come up inside of me that I had to do something," she said. The legislative session began Wednesday, meaning the process of this idea becoming law of the land still has a long way to go. Still, Tiffany says every lawmaker she’s reached out to so far has voiced their support.